When presented with the overwhelming evidence that the planet is warming, many people react by asking "but how can we be sure that we’re causing the warming?" 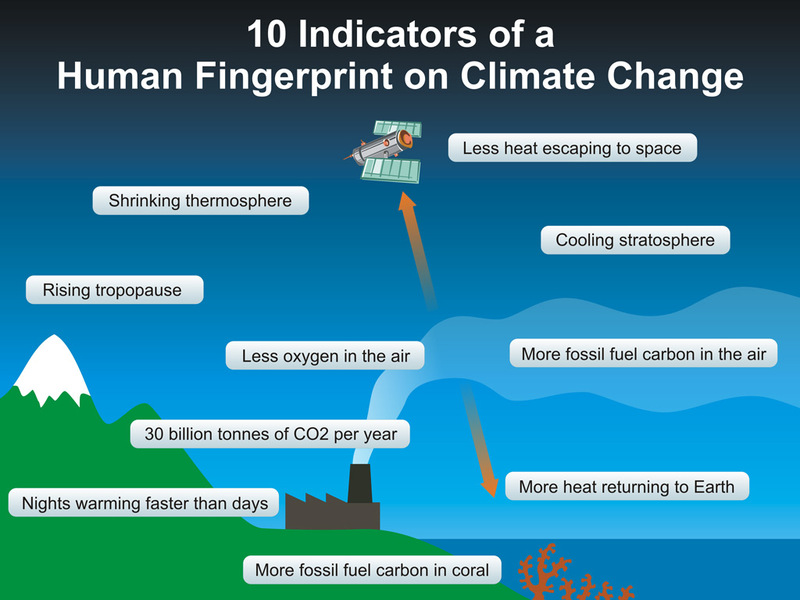 It turns out that the observed global warming has a distinct human fingerprint on it. 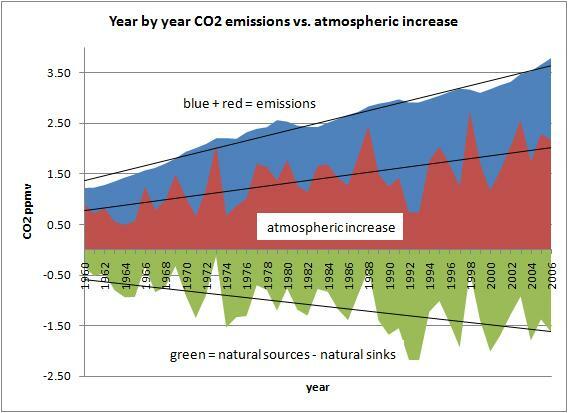 Humans are currently emitting around 30 billion tonnes of CO2 into the atmosphere. Oxygen levels are falling as if carbon is being burned to create carbon dioxide. Corals show that fossil carbon has recently risen sharply. Satellites measure less heat escaping to space at the precise wavelengths which CO2 absorbs. Surface measurements find this heat is returning to Earth to warm the surface. An increased greenhouse effect would make nights warm faster than days, and this is what has been observed. If the warming is due to solar activity, then the upper atmosphere (the stratosphere) should warm along with the rest of the atmosphere. But if the warming is due to the greenhouse effect, the stratosphere should cool because of the heat being trapped in the lower atmosphere (the troposphere). Satellite measurements show that the stratosphere is cooling. This combination of a warming troposphere and cooling stratosphere should cause the tropopause, which separates them, to rise. This has also been observed. It was predicted that the ionosphere would shrink, and it is indeed shrinking. Often one hears claims that the attribution of climate change is based on modeling, and that nobody can really know its causes. But here we have a series of empirical observations, all of which point to the conclusion that humans are causing the planet to warm.